This classic Rampart 36 offers spacious and comfortable accommodation. 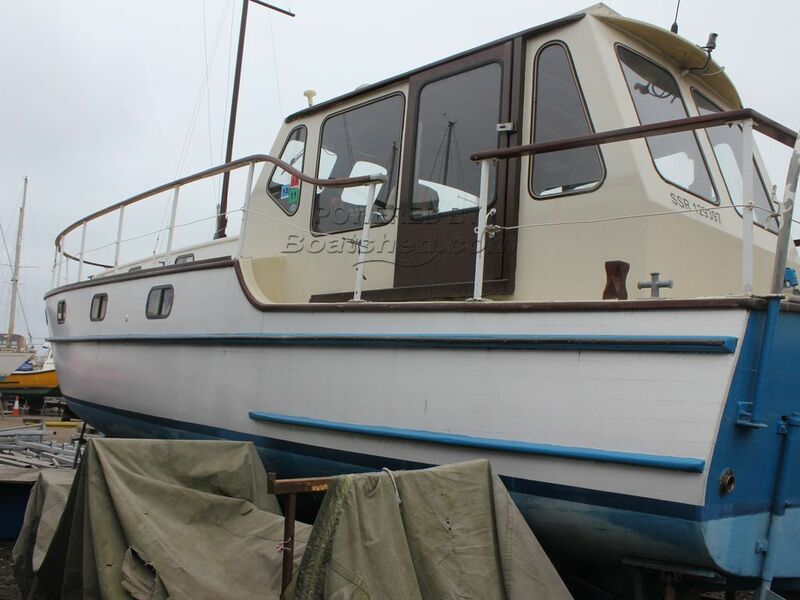 She could make a great live aboard and also be ready for long term cruising. There are plenty of storage cupboards to discover and quirky features which retain her classic characteristics. There is plenty of light from the saloon which highlights the beauty of her wooden interior, some of which needs to be restored, which may bring her back to once again being the “ gentleman’s cruiser”. This boat is sold as seen.